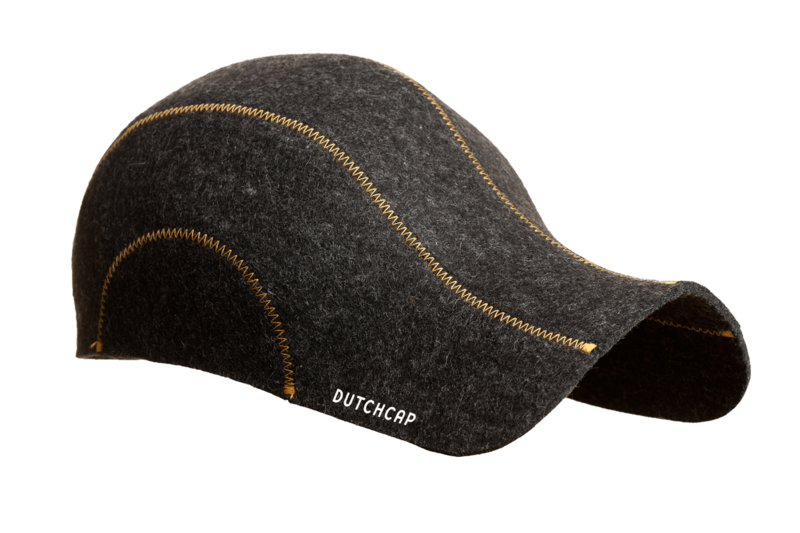 The DutchCap may be Studio Nynker’s best known design. Its simplicity and naturalness make it a ‘typical Nynke’ design. 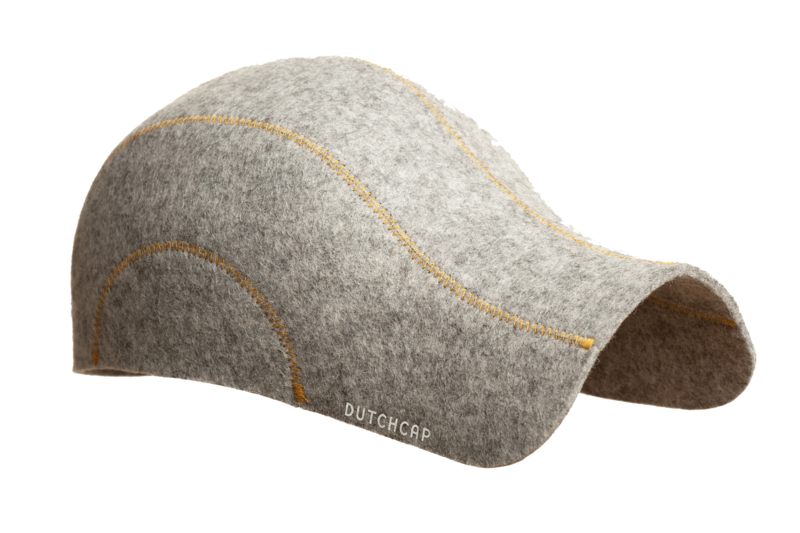 The cap, consisting of six pattern sections, adapts problem free to every shape of face. The typical shape is created automatically when the sections are sewed together. This makes steaming the cap, as was customary in the past to get the cap or hat in shape, superfluous. It also makes the stitching functional, besides it being decorative. Also ‘typical Nynke’ again. 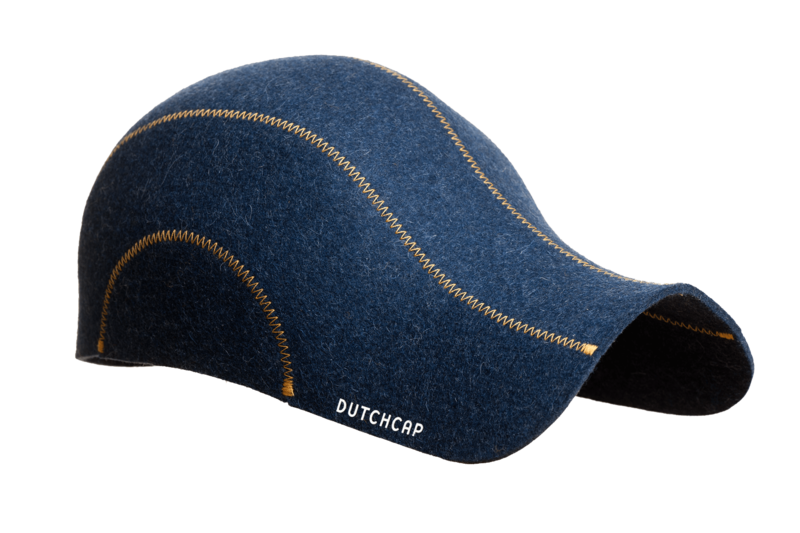 This is the new Denim series of the DutchCap. 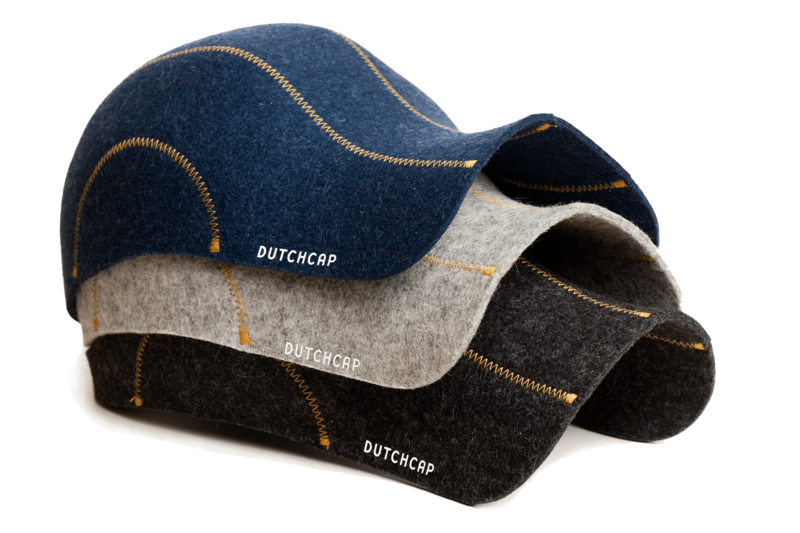 The series has three colours of felt: blended blue, blended black and blended grey and sewn together with ochre denim stitching (as in jeans).